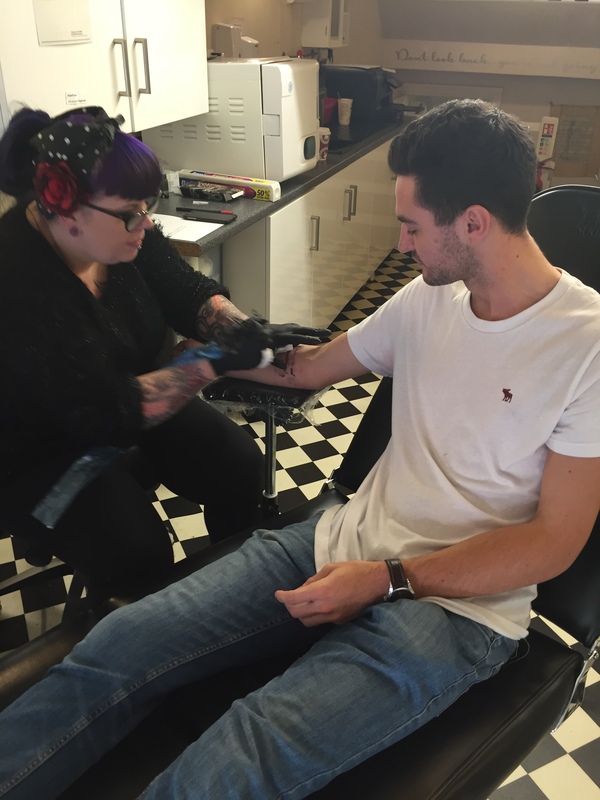 Week 52 of my comfort zone challenge – a tattoo. Had you have spoken to me in the other 23 years of my life, I honestly would have told you I would never get a tattoo. It’s something I’ve never been interested in. I never really understood why people would want something permanently on them that didn’t really mean anything to them. That, however, all changed as I’ve embarked on this year. To be honest, it was only in the last couple of months I warmed to the idea of getting one. You’ll notice at the beginning I set the rule “nothing that effects my personal appearance”. Well here I am sitting here having broken that rule. It took 10 months to decide to break this rule, but the thought of having a permanent reminder of this year, is something I actually wanted. So having overcome the fear of getting one, the question now was what to get? This was easy… Simply, the quote that inspired this whole blog. “Life begins at the end of your comfort zone”. The positioning of the tattoo was a tricky one in my mind. I wanted to be able to show it off, but I wanted something I could hide at the same time. The arm felt like the most obvious place. 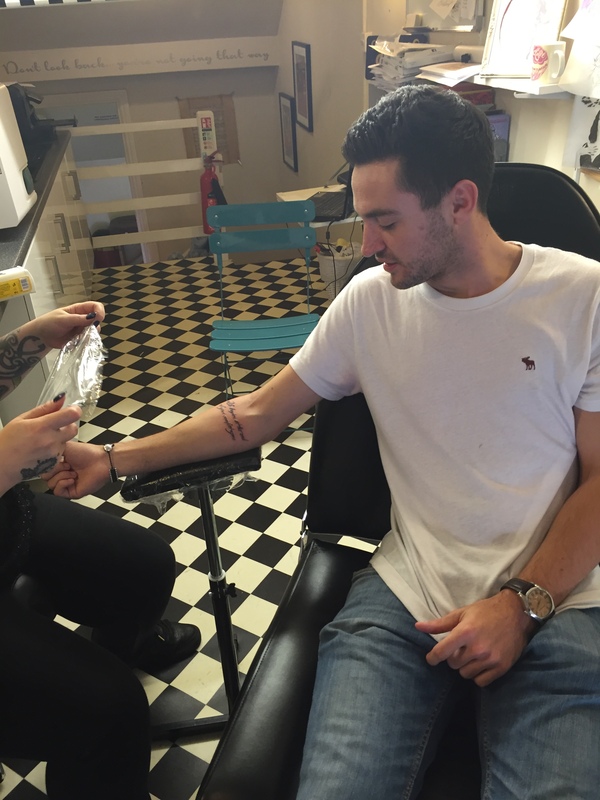 The getting the tattoo itself was quite a funny experience… In a tattoo parlour where you could barely stand without hitting your head, the experience was rather quick. The tattoo artist shaved my forearm and began to draw on the font. For 15 minutes, it felt like a cat (ironically the artists name was Katja) was scratching me. I actually found the pain really annoying. 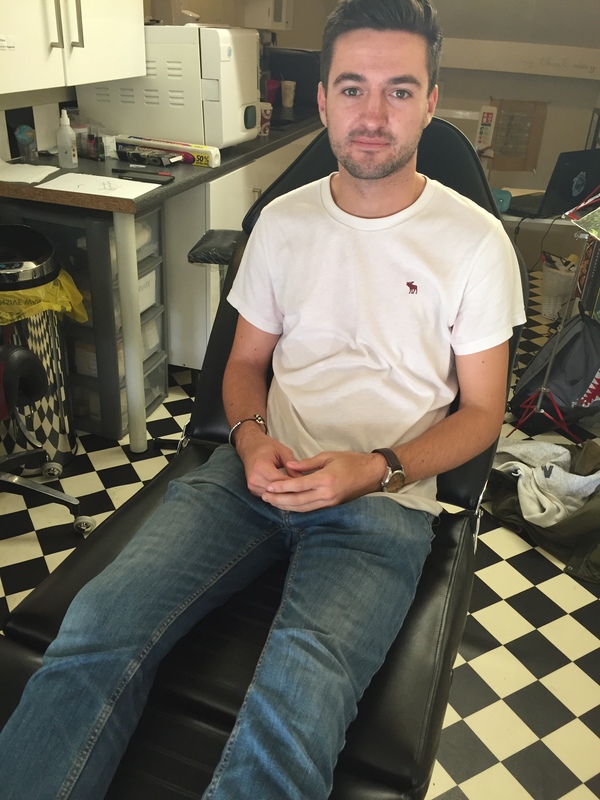 How people sit there for 5 hours getting tattoos, I’m not sure. 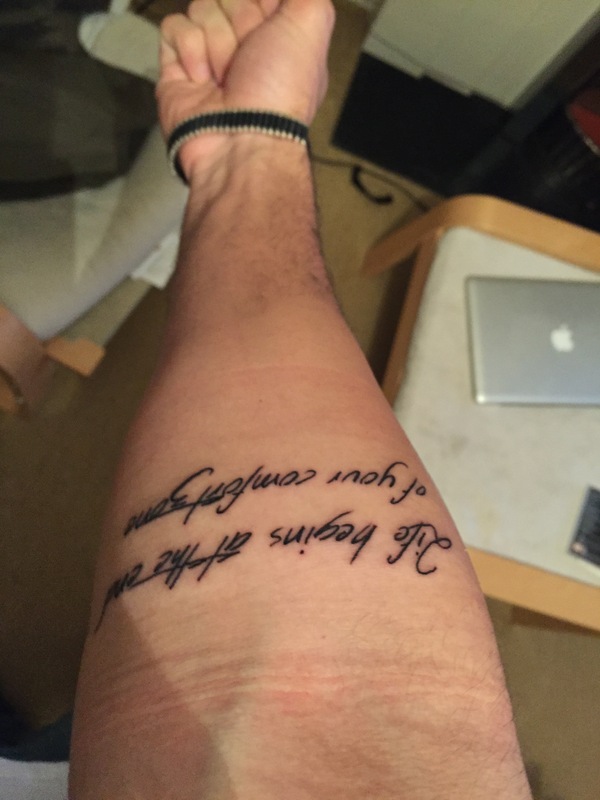 As quick as that, there it is, this quote that will sit on my forearm for the rest of my life. Safely healed and with a ridiculous shaved patch on my arm, I sit here with a stamp that will forever remind me to live outside my comfort zone. Some people, including myself, laugh at the thought of me having a tattoo, but I’ve grown to like it. It means something to me, which is something I never understood until now. Week 51 of my comfort zone challenge.. This week I’m kind of merging two challenges into one. Would you believe it I ran out of weeks in the year?! 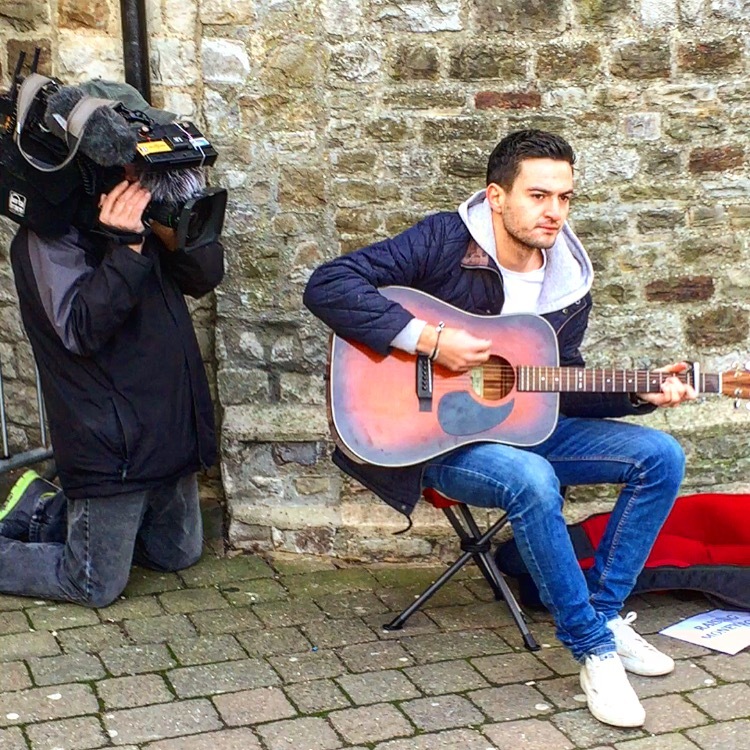 First things first… Busking. Having recently performed in a pub with a captive audience and my family, I decided to make things that little bit harder and head to the streets and play. The last point was probably the key here, it felt as if you were playing to nobody. Horrible little feeling, really. I was joined by the cameras of ITV Meridian News who proceeded to give me an interview. This was quick and easy and I continued to play. I was however, moved on. The gentleman moving me on said it was because it’s private property but I got the feeling he was sick of my voice. Who could blame him? I barely lasted an hour before being moved on. I do think it’s sad these days buskers get quickly moved on… Feel they are hardly causing any harm, but what do I know? Despite the interview going out to thousands of people on air, I was barely nervous. I had taken part in another TV interview not long before this, and this seemed to give me a bit of confidence going into it. I have a face for radio and voice that mumbles, so I’m not the ideal candidate for TV… However, I told myself to relax and don’t think of failure. The interview for Latest TV was one of the funnier moments of my life. Backed with a green screen and some bright lights on me, I started to feel the spotlight somewhat. 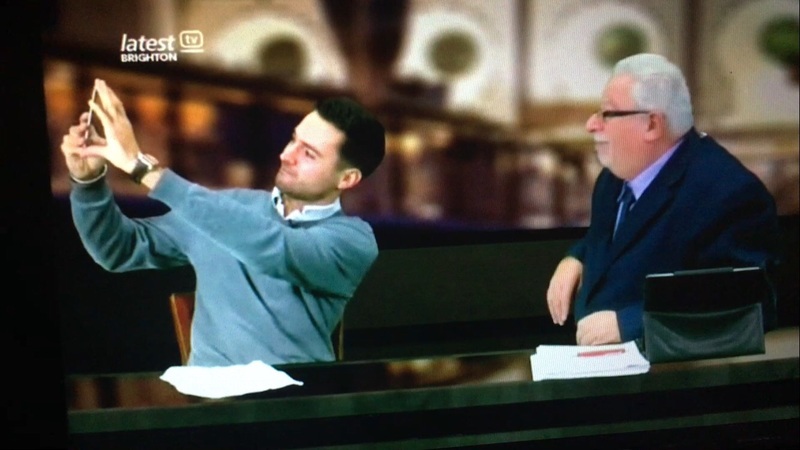 I couldn’t quite expect the 15 minutes of interviewing that came up: I didn’t think I would be asked about my love life and certainly didn’t think I’d be taking a selfie live on TV. Mike Mendoza made the whole thing relaxing, even if I did see “Tim Rose” coming up on his auto-queue and praying he remembered my name was Tom. Thankfully, he did. The support over the last few weeks from the media has really been quite humbling and amazing in terms of building up support for my two charities. I am very grateful. Check out the ITV MERIDAN interview here and watch the Latest TV interview below. Week 50 of my comfort zone challenge, one of the most refreshing to date. 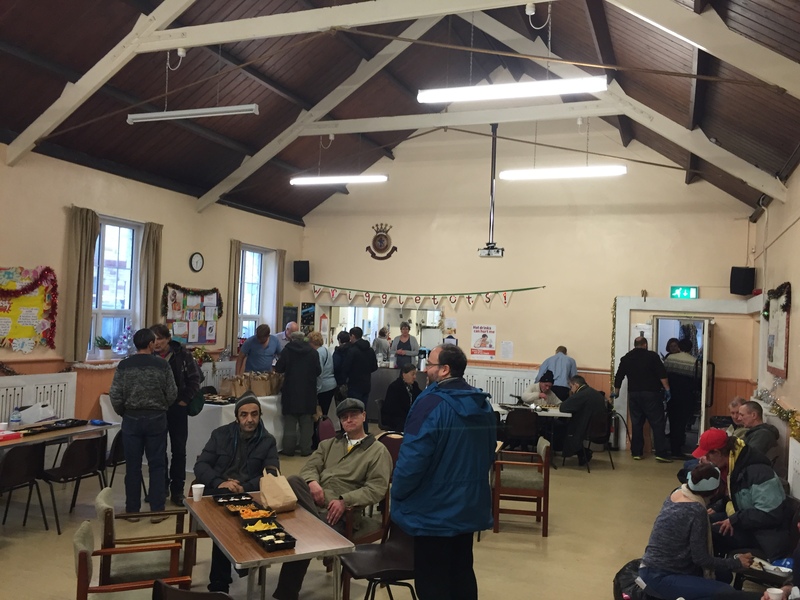 This week, instead of enjoying Christmas day from the comfort of my own home, I decided to help out the guys at the Surviving Christmas Open Centre. This amazing charity, organise a place to go, for those living on societies edge on Christmas day and boxing day. 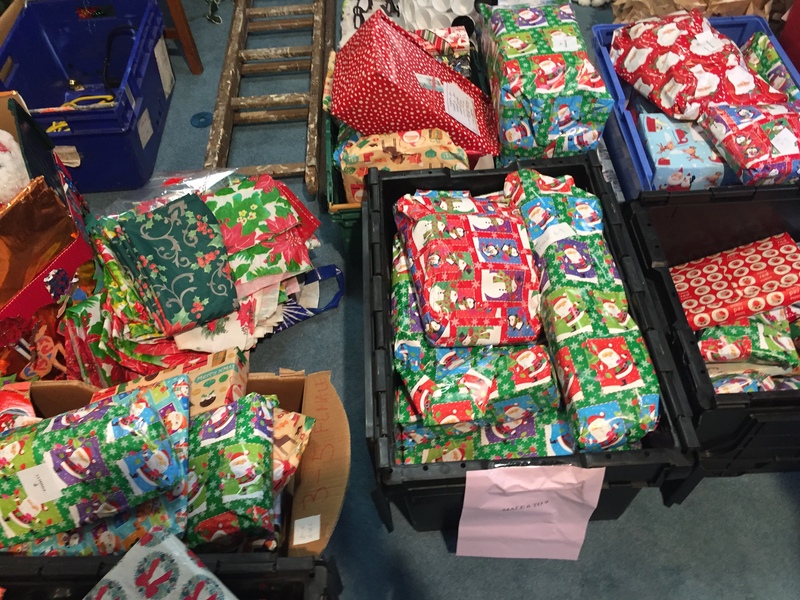 As well as this, they deliver presents to selected houses around the Hastings and Rother area for those that may not receive any. I got to the centre at 9am and not knowing anyone, so there was an awkward half an hour of standing around. The key here is all volunteers want to help out, but not all have jobs to do. One of the main jobs of the volunteers, is to be company. Sounds easy and not a big deal, but as I found it through the day, it really is. I started the morning by sorting the presents that are going out for delivery, this was my way of feeling like I contributed because I’m not convinced chatting with me is great company for anyone. What I loved about the day, is nobody has any name badges or sense of authority… We’re all equal and can all make the most of the facilities. 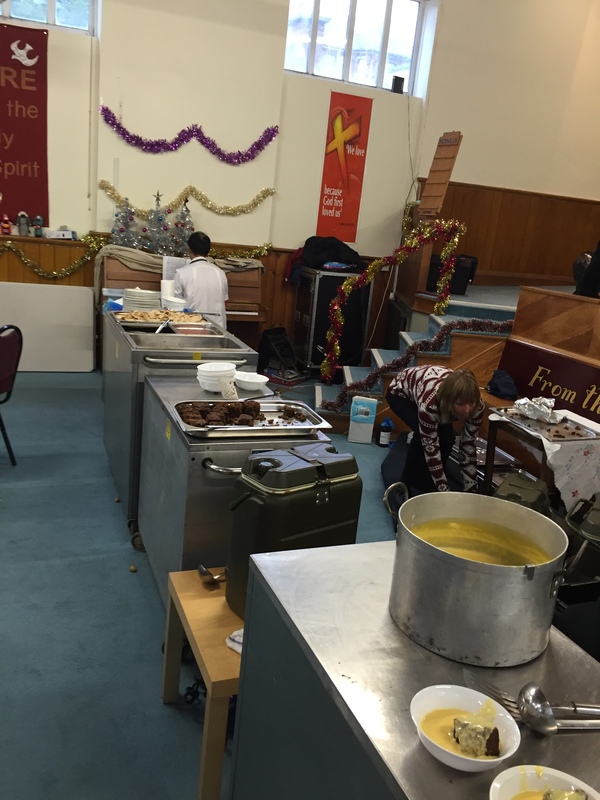 This wasn’t just a soup kitchen… People were offered a three course meal, free snacks, opportunity to visit the doctor, free clothing, free hair cuts, pedicures and entertainment to keep them occupied. It really was amazing. Through out the day I got talking to various people, just moving myself about. Not everyone wanted to talk, but those who did seemed to really appreciate the company. I spoke to lots of people, but I just want to share two stories of conversations I had. Jill came in on a Zimmer frame and immediately sat next to me. She said hello, and introduced herself and without any prompting began to tell me how lonely she was. It was heartbreaking. By circumstance, her dad had a stroke when he was 40, her husband died when she was 60, she has no other family to talk of and company was a rarity. She was just happy to be around people. I tried to take the conversation away from about loneliness, which was harder than I thought it would be, and started to talk about things more positive. The conversation ended with me escorting Jill to the doctor on site, but ended with a thank you like I’ve never had before. I must have been thanked a million times in my life for various bits, but none quite like this. She looked into my eyes, touched my arm and thanked me with real meaning. Ryan had recently had a brain operation having had a nasty fall. The guy was clearly lucky to be alive and boy did he know it. He seemed genuinely grateful to be alive and appreciated every moment of the day. We shared a conversation about love of dogs, something I can relate too. He told me his dog was his best friend in the world, and how she knew something was up when he came back from hospital. Rather than jumping all over him, she seemed to try and help him. Ryan told me how I should go travelling and enjoy my life in my younger days, because you never know what’s around the corner. I tend to agree with him. It was quite an inspiring conversation. This day, I believe, is what the Christmas spirit is all about. I love Christmas day with the family as much as anyone but taking 7 hours out of my Christmas day to do this, made me appreciate them 10x more. The people of this charity should be very proud of what they do, because it was a special day to be apart of. I recommend this to anyone, and if you don’t want to give up Christmas day, there are plenty of other days you can help in the build up to Christmas day. Go in with an open mind and you’ll come out with a very unique feeling that is hard to describe. The day further confirmed that I am supporting a special charity, and makes the hard work of the year feel worthwhile. 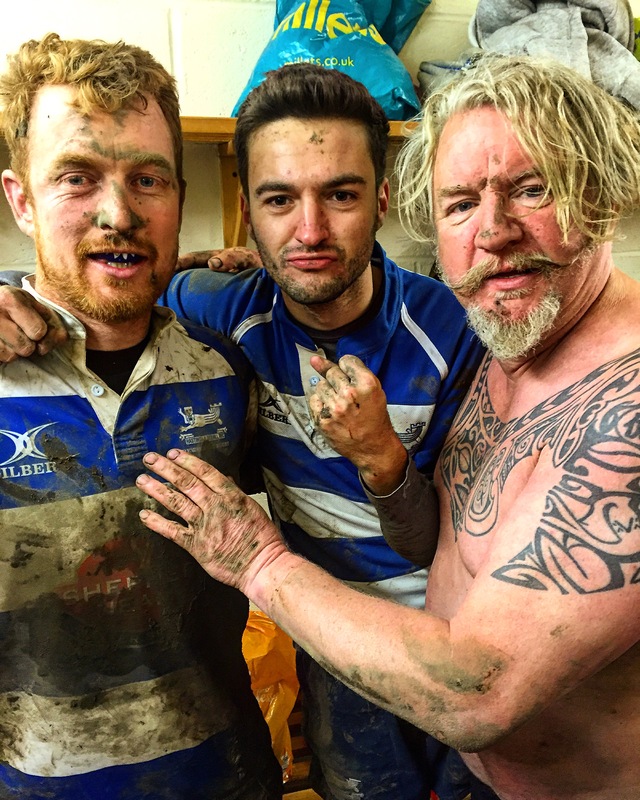 Week 49 of my comfort zone challenge took me into the muddy, aggressive world of rugby. Those that know me, will understand that Rugby is so far outside of my comfort zone. I’m a skinny, passive guy that has never even been close to any kind of fight in my life. Granted rugby isn’t a fight but it feels like you need to be up for a fight to be any good at it. Having been badgered by my friend Berwick to play rugby since back in January when I started these challenges putting it off until December was a good effort by me to not play. However, persistence beat resistance and I couldn’t say no any longer. 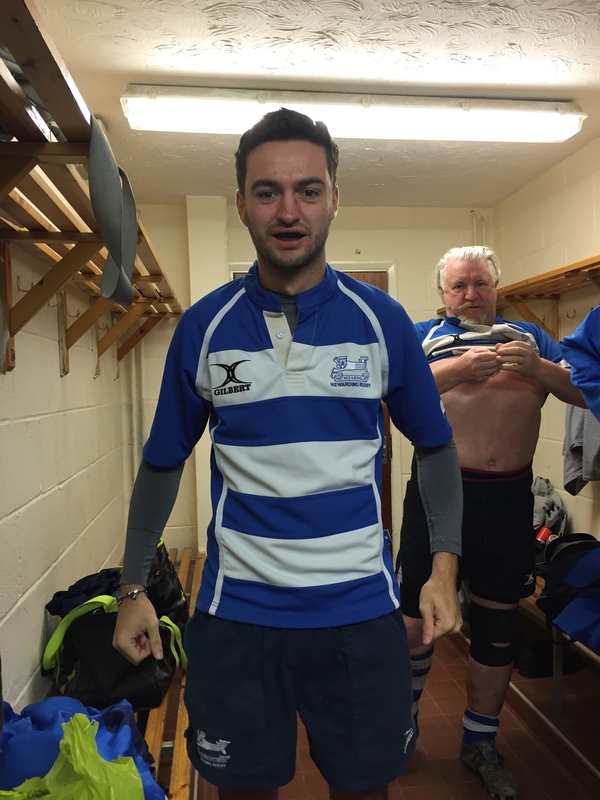 His team, Hastings & Bexhill Rugby Club, agreed to host me and promised me game time. I agreed to play, but suggested I only needed about 10-15 minutes’ game time as I’m unfit and will be useless to the team. I might be up for a challenge, but one of my biggest hates in life is losing and letting a team down because of me. Of course the match I picked to play in was away to Whitstable, a place I’d never even heard of, and seemed to be a pilgrimage from where I live. However, the hour and a half journey gave my team mates the opportunity to tell me the rules, how to tackle, tips and tricks for my 20 minute game time. We got to the ground, got changed and I started to practice some tackling on guys at jogging pace. It was only after a bit of touch rugby, the manager told me “Tom, you’re starting. Wing.” I originally thought it was a joke, but no, I started and played the full match. It’s one thing tackling people at jogging pace, but when a guy taller, bigger and faster than you runs at full pace at you, with a palm to aid him and having never tackled someone before, it’s fair to say it’s not so easy. I must have missed about 5/6 tackles through the game and it’s something I never got used too. It goes against everything your mind tells you to through yourself head first into somebody running full speed at you. The good news is, I played the full 80 minutes, I came out alive, I quite enjoyed it and WE WON by just one point! It says more about the team I was playing with than myself, but I’m glad to say my rugby career has a 100% win record. The amazing thing of rugby, which I’ve never really appreciated quite enough until I played was the sportsmanship that comes with it. Guys have been in battle for 80 minutes but it’s all left on the pitch. There is a real respect for each other, which is shared over a beer and chili con carne in the bar. Just brilliant. A massive shout out to the guys at Hastings and Bexhill Rugby Club, who were nothing but accommodating and encouraging the whole time. I’d miss a tackle and they would tell me what I did wrong but and how to improve. An extremely welcoming bunch of guys, who even gave me the man of the match. If you’re interested in playing rugby, you’d do well to find a better group than these. This was a fairly unique challenge for me. 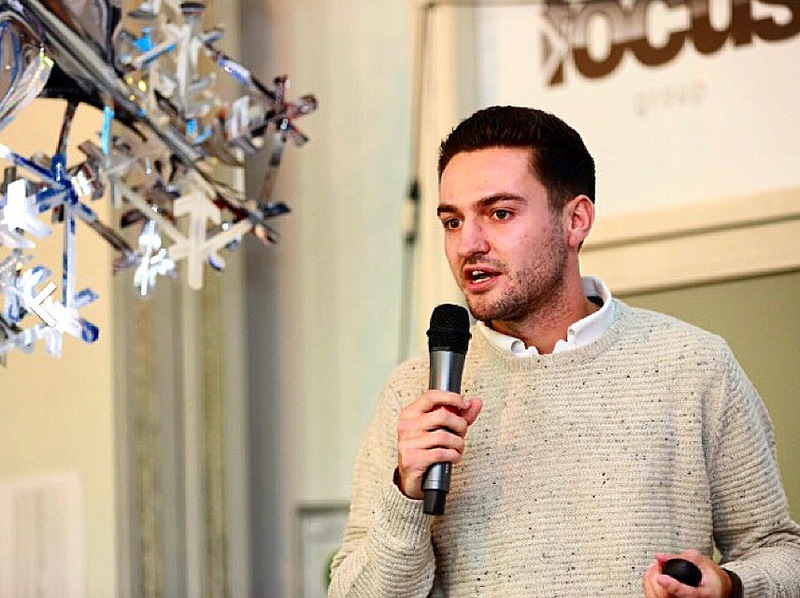 I have done presentations, quizzes and now even stand up comedy… but this type of public speaking was something very different to me. 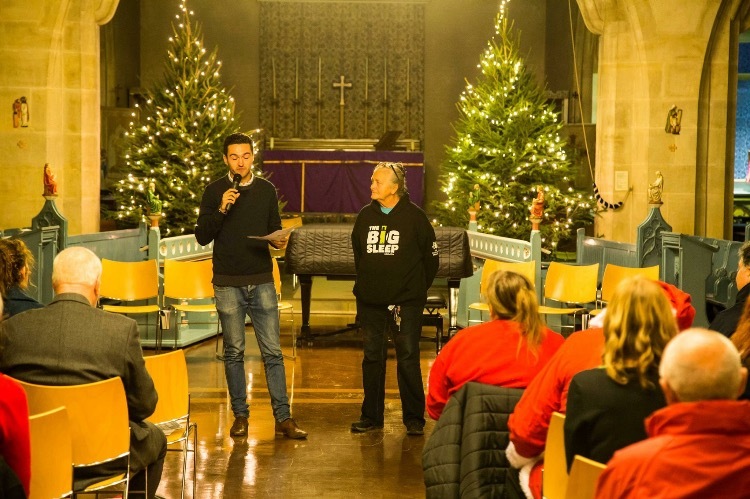 I was asked by The Seaview Project, to speak at their Christmas concert, about my time sleeping rough. It was something I was more than happy to do but struggled to know where to pitch in my mind. On the night, it was made ten times harder. The night opened with two service users of Seaview talking about what Seaview meant to them. Both the girls, ended up in tears, along with the 200 people in the audience. It meant everything to them, at the time they didn’t have anything. Seaview gives help when nobody else will. I found myself crossing out half my speech through my watery eyes. How can I talk about being homeless, when I have no idea what it’s like to be homeless? I really didn’t want to come across insensitive, so working out what I should and shouldn’t say seconds before speaking really threw me. I stumbled and mumbled my way through the speech. The words were true and hopefully I came across in the right way. I found it slightly embarrassing being up there compared to the other speakers, who’s issues were so real, meaningful and emotional. My experience is that presenting at work or even stand up comedy was much easier than this. You may find that hard to believe but this his was difficult in a far different way. 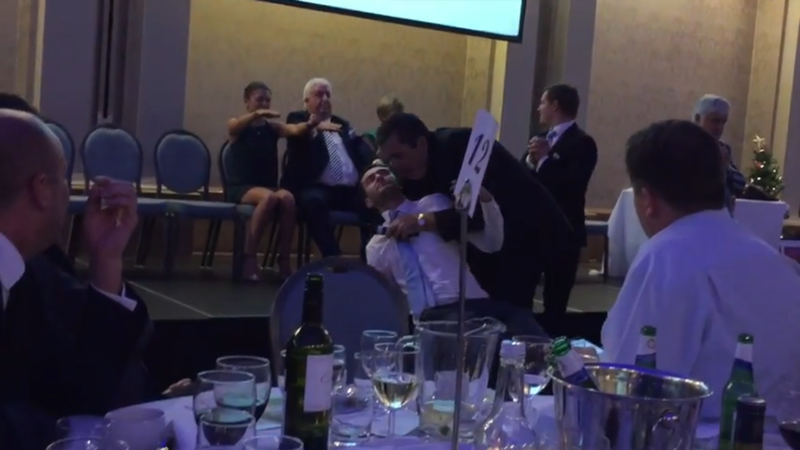 What the evening really did do, was confirm in my mind, that I am raising money for such an amazing charity. 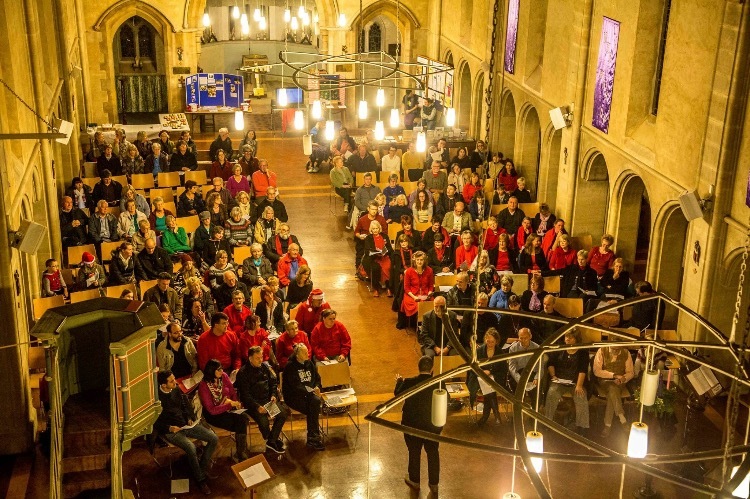 Listening to the stories of all the service users, watching the Seaview choir sing, hearing just how much of a family the charity is, made the evening one of the most emotional hours I’ve had. I have no qualms in sharing that a tear fell from my eye for the first time I can remember in a long time. The tear was in sadness of these people’s stories but their thanks to Seaview was heart-warming and inspiring. I urge you all to read this article on the work Seaview do and if nothing else read Bob’s, head of the Seaview Choir that performed, story. One of many stories to confirm the amazing work of Seaview. Week 47 of My Comfort Zone Challenge – Stand up Comedy. A couple of months prior to actually doing this task, I was approached by work colleagues, Tony, saying I should do stand up comedy at one of our corporate events. My instant reaction was “No way, not a chance”. I consider myself to have a good sense of humour, but I don’t see myself as a funny person. Over the years, I’ve made a name for myself for having terrible gags and being proud of them. 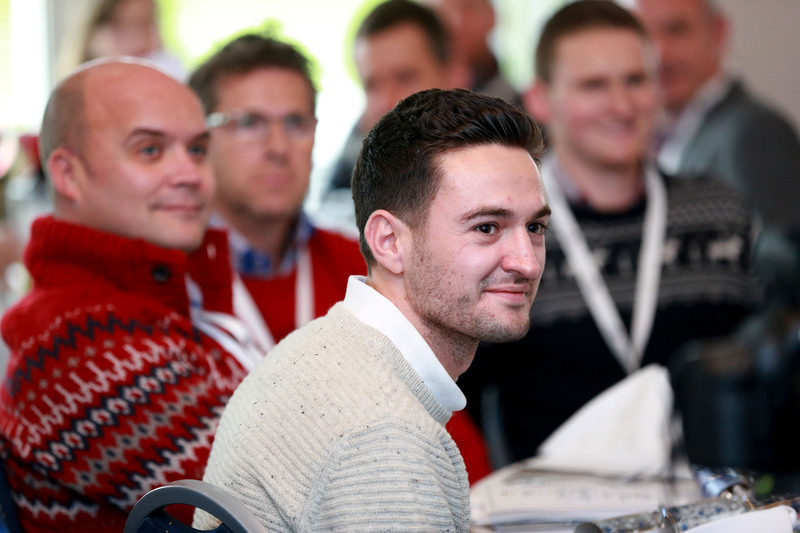 So going up on stage, and actually trying to make people laugh… I’d given myself no chance. It took a few weeks of peer pressure and convincing until I agreed to do it. Out of all the challenges, this probably took the most convincing. I’m no great public speaker, and adding the ingredient of laughter felt like a recipe for disaster. Two months on… And here I was, just days away from writing my stand up comedy. Tony, who does lots of after dinner speaking and event hosting, gave me some advice. Find a theme and go with that route. Don’t just reel off one liners, you’ll forget them. Make it unique. I thought to myself, what is more unique than the challenges that I’ve been doing? So writing the jokes wasn’t actually too hard. The ‘acting’ element of stand up is where I really needed my practice. I’ll be honest, using a presentation may have been cheating a bit, but I needed all the help I could get. In the build up, I have no shame in saying I would practice in my room alone with a hair brush as a microphone. Fail to prepare, prepare to fail. Thankfully there is no photographic evidence of this. I’ve always been one to hate roleplaying and practicing things that aren’t in the real situation. So I only practiced this in front of my flat mate once. He gave me some laughs, so I was happy. I got to the day of the event, and it was borderline torture. All I wanted to do, was get it over with. My hands were sweating. I was pacing up and down the office all morning. People were winding me up about the microphone not working. I was a mess. I even struggled to hold conversation in the hour leading up to it. This was even with two glasses of wine to try and settle the nerves! I have to say though, once I was up there. It was fine. It all came out… I missed one joke, but the rest was okay. PEOPLE LAUGHED. It may have been from sympathy or humour, I don’t care, they laughed, I’m having it. I was congratulated many times after doing it, and many people said to me “Well done, I could never do that”. That was me, 12 months ago. It’s an old cliche, but if I can do it, anyone can do it. Fear of failure is what often stops us from succeeding. This, to me, was a success. It felt overcoming a hurdle, doing something I doubted even I could do. I joke that life doesn’t begin at the end of your comfort zone, but challenges like this have amazed me to what one can really do in life. Have a watch of the set for yourself! Week 46 of my comfort zone challenge saw me hypnotized! I’ve always been skeptical of hypnosis. I’ve watched other people do it and thought they are just acting along. So when the opportunity came along to do this, I have to say, I was very interested to see what happened. I’m certainly went in not convinced it would work, but willing to give it a fair shot, and go with what I’m told. I’ve read that hypnosis works by altering our state of consciousness in such a way that the analytical left-hand side of the brain is turned off, while the non-analytical right-hand side is made more alert. The conscious control of the mind is inhibited, and the subconscious mind awoken. How quite that happens, I’m not sure. What quite that means, I’m not sure either. All I can say, is this took me into a dream like state. It started off with me watching all the other people around me drop to the floor on the hypnotists command. I could only laugh nervously wondering when he would do that to me. The rest is a bit of a dream, occasionally I would wake up and notice what was going on, the rest just feels like I was asleep. I knew what was going on, but like a dream, couldn’t really control it. A quite bizarre feeling. Some highlights when waking up… Waking up to three other blokes cuddling me, and not really knowing why. Winning the lottery. Watching a Japanese comedian ‘wow’ the crowd. There’s something telling me perhaps having a crowd makes this easier, with pressure to play up to it. However, I genuinely didn’t feel like I was playing up to anything and was forced to do anything. It all just happened. This is probably the hardest challenge to write up, because I’m not 100% what went on if I’m honest. It worked whatever happened. I’m told by the hypnotist it was because I have a good imagination. I’m told by friends it’s because I have a submissive mind. Make your own minds up on that. Below is a video that shows what went on.